At the moment, I'm spending time in warm weather in Arizona with my family, parents, and my brother's family. We did this last year, and we just enjoy relaxing, doing some sightseeing, and catching up on family happenings. We also want our own kids to get to know their grandparents better and develop stronger family ties. By doing so, they can understand my own upbringing and we often laugh about old stories. So, what do you do with your family to strengthen family relationships? Listen to this recording and write your response about it. Thanks. Listen to the recording and share your ideas on the topic. Listen to the topic and questions, and write your answer and opinions here. Year-end Holidays: What do you celebrate? 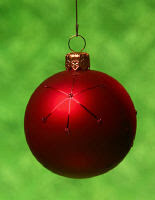 For many people around the world, Christmas is a very important year-end holiday. However, there are many other holidays celebrated at this time too. Please share any specific cultural and religious festivities or days that are important to you or others in your area. Cell Phones: Should they be allowed at schools? More and more people are carrying cell phones and considered them as a need, not just a want. (Of course, people my age never had cell phones, and we survived.) However, should schools (let's say elementary, junior high, and high schools) allow students to carry around and use cell phones during school hours? What potential problems are there? And the benefits? Share your ideas. Happiness: What does it mean to you? I feel happy when ________________. I return home in the evening and my wife greets me with a smile. my kids don't complain about the vegetables we have for dinner. students do their assignments on time without giving excuses for not doing it. I have the chance to run in the mountains to burn off stress. I can do something for someone else.